I am pleased to present to you the annual report of the Assembly Standing Committee on Education for the 2001 Legislative Session. I am honored to serve as Chairman of this important Committee. Despite the September 11th tragedy and the budget impasse, the Committee accomplished much in the 2001 Legislative Session. The new fingerprinting law was improved with the passage of legislation allowing for conditional and emergency employment of school employees. Under this new law, school districts are afforded the flexibility of conditionally hiring employees while awaiting criminal background checks, and a provision for emergency employment when necessary. Recognizing the unexpected high increases in energy costs that districts were facing, the Committee passed legislation to exclude the amount of any increased fuel costs over the prior year from the calculation of a total spending increase in a contingency budget. In addition, we considered a number of bills pertaining to special education. One such bill, which became law, requires that school districts provide instructional materials in alternative formats to students with disabilities who need such accommodations in a timely manner. These accommodations will allow disabled students to pursue more easily a higher education and ultimately become employed in a work setting. The Committee also addressed issues relating to the safety of the State's students. For example, the Committee forwarded legislation that clarified sections of Project SAVE in relation to suspensions and also the exchange of criminal history information between New York State Education Department and the New York City Board of Education. In addition, the Committee submitted a bill, which was signed by the Governor, which would require students who are on a school sponsored field trip or activity to return to the point of departure. If there are circumstances that prevent this, a representative of the school district must stay with the student until a legal guardian arrives. In response to a fatal accident in the State, the Committee recommended a new law requiring school districts to equip electronically operated partitions with safety devices to prevent accidental injuries or deaths. This law will penalize any person for disabling the safety device with a fine of $100, 15 days in jail or both. Several public hearings were also held. One hearing examined the impact of bias-driven harassment on students, and assessed the appropriateness of and need for the passage of the Dignity for All Students Act. The Committee heard testimony from students, parents, teachers and other school staff about their personal observations and experiences with bias-driven harassment and discrimination and concluded that young people who are harassed, intimidated or discriminated against are prevented from attaining the education that is their right in elementary and secondary schools. The Committee also conducted hearings on the high school dropout rate among English Language Learners and on early childhood education. These are just a few of the successes the Committee enjoyed during an extraordinarily difficult year. Many more are highlighted throughout this report. I look forward to working with you and the members of the Committee next year as we face new challenges, and strive to ensure a brighter future for all of New York's school children. The New York State Constitution states that, "The Legislature shall provide for the maintenance and support of free common schools, wherein all the children of the State may be educated" (Article 11, Section 1). This constitutional provision establishes the foundation for the areas of responsibility of the Standing Committee on Education. The Committee is primarily responsible for overseeing educational policies and programs affecting prekindergarten, elementary, secondary and adult education. The Committee's jurisdiction extends to all aspects of the elementary and secondary education for more than three million school children attending both public and non-public schools. Within New York State, there are 704 school districts, including the nation's largest, the New York City School District, which enrolls over 1,000,000 students. In addition, 38 Boards of Cooperative Educational Services (BOCES) provide occupational education, shared services, special education, and academic programs on a regional basis throughout the State. The Committee also participates in the process for selecting persons to serve on the New York State Board of Regents. The Committee is continually challenged to ensure that the public schools of this large and diverse State provide the range of opportunities that all students need to fulfill their potential. The Committee plays a significant leadership role in supporting equitable funding and strengthening the quality of elementary and secondary education in the State. During the 2001 Session, 437 bills were referred to the Education Committee. These bills dealt with such wide-ranging issues as criminal background checks of school employees, pre-kindergarten programs, and technology. In addition to these bills the Committee held public hearings on early childhood education, bias-driven harassment in schools, and the dropout rate among English Language Learners (ELLs). The purview of the Assembly Education Committee is extremely wide, and effects virtually all aspects of public education. This report will provide a more detailed examination of the Committee's budgetary and legislative achievements affecting the education of all students in the State. This year's budget process, shaped by a confluence of different events, resulted in an overall education budget which fell far short of the $3.4 billion two-year aid package proposed by the Assembly. The budget proposal put forth by the Executive would have increased education funding by a meager $382 million or $1.1 billion less than what schools would have received under present law. This proposal eliminated targeted aid for students with disabilities under the public and private excess cost aid formulas and froze BOCES aid at 2000-01 levels. In addition, the Executive proposed cutting funding for the Learning, Achieving, Developing by Directing Education Resources (LADDER) Programs below the 1997 statutory agreement, resulting in a net $660 million reduction in aid that would have been generated by these early education programs under current law. The biggest cut was $275 million to the Universal Pre-kindergarten Program. The proposed cut would serve to eliminate funding for new Universal Pre-kindergarten programs in the 2001-2002 school year. Shortly before the Executive budget was released an historic decision made by Justice DeGrasse ruled that New York State has consistently violated the Education Article of the State Constitution by failing to provide the opportunity for a sound basic education to New York City's public school students. The Court found that the State's public school financing system has an adverse and unjustified disparate impact on minority public school students in violation of federal law, and that it was the State's responsibility to provide a sound basic education. In his Executive budget recommendations the Governor merely tinkered with the State Education formula did not address the underlying problems found by Judge DeGrasse. While his budget proposal altered the current funding formula, these changes only rearrange funding formulas by aggregating certain aid categories. In response to the ruling and the needs of school children all over the State the Assembly proposed a ground breaking $3.4 billion budget increase over two years. The proposal sought to address the need for equity, provide greater flexibility for school districts, enhance efforts to recruit and retain quality teachers, and fulfill the promise of smaller class sizes and universal pre-K. Unfortunately, the Assembly could not find a partner in the Governor to support the proposal. Instead, the Governor insisted on his plan, which cut education aid by $1.1 billion from present law levels and forced a budgetary stalemate. In order to provide some predictability for the school districts that were about to open their doors, the Legislature agreed to adopt a budget using the Governor's school aid numbers. This action was taken in August to alleviate the uncertainty districts had in the absence of any State budget. This decision was made with the intent to return in the fall and to enact a supplemental budget. 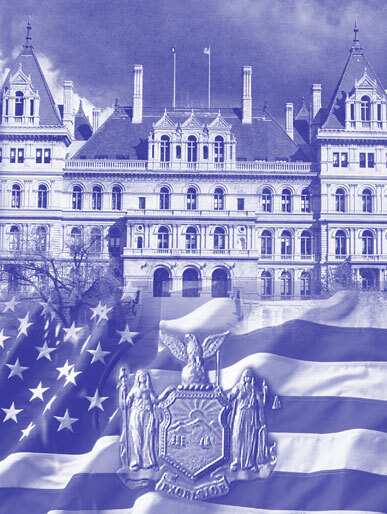 While the Assembly worked to develop supplemental budget package and engage the Executive in negotiations, the devastating attacks of September 11th halted these efforts as the State and nation focused on recovery. All building aid paid on district debt service is converted to a new, assumed amortization methodology, starting in the 2002-03 school year. For projects approved by the Commissioner on or after December 1, 2001 or for projects for which debt is first issued after that date. For the Universal Prekindergarten program, the requirement that all teachers be certified is deferred for an additional year, until 2002-03. The moratorium on new preschool programs for children with disabilities is continued through the 2001-02 school year. Existing provisions authorizing the Big Five city school districts to increases class size for special education classes is continued for an additional year. Universal Prekindergarten - $225 million, a cut of $275 million. Class Size Reduction - $140 million, a cut of $85 million. Minor Maintenance and Repair Aid - Districts received what was on the school aid run. Full Day Kindergarten - $4.9 million. Shared Services Aid - Districts received what was on the school aid run. Educational Technology Aid - Districts received what was on the school aid run. Extended School Day/School Violence Prevention Grants - $30.2 million, a cut of $25 million. Professional Development Grants - No funds were appropriated for this program. Instructional Materials - Funding for Textbook Aid, Hardware Aid, and Software Aid was scheduled to grow by $84 million, but under the Executive's proposal was frozen at last	year's levels. A.9068, Rules/Sanders This bill reinstates the proportional representation system as the means of electing members of community school boards in New York City. This bill passed the Assembly and died in the Senate. A.2398, Tokasz The quality of the school environment is important to the health of our children and the adults who work with them. This bill would require that the public have access to information regarding the use of certain chemicals within schools. This bill directs that such information be made available at a reasonable charge for all public and private institutions. This bill passed the Assembly and died in the Senate. A.5192A, Englebright Children may be severely affected by exposure to certain chemicals and other environmental hazards, which can affect their learning abilities as well as create chemical-based responses and sensitivities. This bill prohibits the Education Commissioner from approving any school building or remodeling plans unless they provide for certain ventilation requirements and meet safety and environmental standards. This bill passed the Assembly and died in the Senate. A.8485-B, Rules/Luster; Chapter 217 of the Laws of 2001 This new law requires school gyms or auditoriums to equip electronically operated partitions with safety devices to prevent any accidental injuries or deaths. Furthermore, this bill would penalize any person who disabled the safety device with a fine of $100, 15 days in jail, or both. A.1451, Robach Internships provide hands-on experience with advanced technologies and equipment not available in the classroom. This bill would create the Empire State Internship Program, to help enhance an understanding of how academic performance is connected to the demands of the workplace. This bill passed the Assembly and died in the Senate. A.5822-B, Canestrari; Chapter 231 of the Laws of 2001 The National Highway Traffic Safety Administration and the Motorcycle Safety Foundation have partnered to create a "National Agenda for Motorcycle Safety" to increase awareness of motorcycles on roadways. This legislation directs school districts participating in driver education to include a component teaching motorcycle awareness safety. A.5541, Pretlow Comprehensive family literacy programs help many parents and children living in poverty to improve their lives. This bill establishes a family literacy grant program for economically disadvantaged families living in high poverty areas or areas with low-performing public schools. Pursuant to an appropriation, funding would be available to establish interactive family literacy activities between parents and children. This bill passed the Assembly and died in the Senate. A.4089-A, Ortiz The United States Department of Agriculture (USDA) has encouraged gleaning programs which collect food that would otherwise be discarded and donate it to voluntary feeding programs such as food pantries and soup kitchens. This bill would establish a program to coordinate the donation of excess food from school meal programs to voluntary food assistance programs. This bill passed the Assembly and died in the Senate. A.7002, Ortiz This bill authorizes the Commissioner of Education to establish the school breakfast incentive program to provide grants, subject to available appropriations, to eligible schools or school districts that increase participation in the school breakfast program by removing barriers to participation. This bill passed the Assembly and died in the Senate. A.4308, Lafayette Many school districts would like to offer pre-kindergarten classes to all of their eligible four and five year olds before they attend regular kindergarten classes. However, some school districts are unable to due to a lack of space for these classes. This bill would enable these school districts to offer pre-kindergarten classes to eligible children during the summer months before the children begin kindergarten. This bill passed the Assembly and died in the Senate. A.5306, Tokasz For the 2001 - 2002 school year, this bill would exclude the amount of any increased fuel costs over the prior year from the calculation of a total spending increase in a contingency budget. This bill was passed by both Houses and was vetoed by the Governor. A.5671-B, Sanders While the State continues to increase the amount of education aid that school districts receive, cities may reduce their local share to save taxpayer money or divert such funds for other proposes. To end this practice, this bill would require that all of the fiscally dependent "Big 5" school districts maintain local effort in order to preclude the replacement of local funds by State aid revenues intended to increase support for education. This bill passed the Assembly and died in the Senate. A.8872, Heastie This bill would include pupils from the New York City School District within the definition of child for the purposes of their protection from abuse and maltreatment in educational settings. This bill passed the Assembly and died in the Senate. A.8898-A, Rules/Matusow; Chapter 147 of the Laws of 2001 School districts have raised concerns that schools' hiring processes would be significantly delayed due to federal and State criminal history checks now required of all prospective school employees. This new law allows school districts to conditionally employ personnel while awaiting background results from the FBI. In addition, when an unforeseen vacancy occurs, the school district may make an emergency conditional appointment which is limited to twenty days or until the district receives notification regarding State criminal history clearance. A.9333, Rules; Chapter 380 of the Laws of 2001 This law makes technical corrections to the new suspension procedures created pursuant to Project SAVE, the school safety legislation enacted in 2000. It also permits the sharing of criminal history information between the New York State Education Department and the New York City Board of Education. A.759, Tonko This bill would establish nine regional traumatic brain injury centers across the State within amounts appropriated to provide support and information to educators and families of children with traumatic brain injury. This bill passed the Assembly and died in the Senate. A.4884A, Cahill The lack of available and accessible transportation is a major impediment to the employment of persons with disabilities. This bill provides that the lease, lease-purchase or rental and maintenance of a motor vehicle shall be included within the vocational rehabilitation services for the disabled. This bill passed the Assembly and died in the Senate. A.7536, Sanders This bill creates a New York State Interagency Council for services to persons who are deaf, deaf-blind or hard of hearing to promote a comprehensive service system for the deaf, deaf-blind and hard of hearing population. This bill passed the Assembly and died in the Senate. A.7926, Weisenberg; Chapter 377 of the Laws of 2001 For students with disabilities, obtaining instructional materials such as textbooks in a useable format can sometimes take months. To prevent these students from falling behind, this new law requires school districts and BOCES to create a plan to ensure that all instructional materials are available in alternative formats for students with disabilities. The plan must identify timeliness to ensure that such materials are available at the same time as regular format materials. A.9153, Towns Scientific and technological literacy is rapidly becoming a prerequisite for full participation in our economy and culture. This bill establishes a grant program to fund after-school and weekend educational activities for students in grades prekindergarten through eight, that engage their interest in science and math, and develop their critical-thinking skills. This bill passed the Assembly and died in the Senate. A.9162, Rules/Dinowitz; Chapter 98 of the Laws of 2001 This new bill extends the authorization allowing municipalities to donate surplus computers, computer equipment and computer software to public school, public libraries, and to not for profit institutions for use by individuals with disabilities. These provisions are extended to July 2004. A.73, Colman Currently, the Commissioner of Education is authorized to determine and define the qualifications of school bus drivers. In order to qualify as a driver, one must go through a mandated twenty hour training course. This training is not required by schools who do not accept State aid. This bill would require that all schools, public and private, have a mandated twenty hour training course for all bus drivers. This bill passed the Assembly and died in the Senate. A.1458, Sidikman This bill would permit school districts to provide non-public school students with transportation beyond the mileage limitations if such students' parents reimbursed the district for the incremental cost. This bill passed the Assembly and died in the Senate. A.5091 and 9439 , Acampora; Chapters 3 and 510 of the Laws of 2001 These new laws require school districts which provide students with transportation to an extra-curricular activity also provide return transportation from such event unless a parent signifies with a note that their child does not require return transportation. A.8736, Rules/Tokasz; Chapter 77 of the Laws of 2001 This law extends the authorization allowing a board of education or board of trustees, with voter approval, to provide for student transportation in child safety zones to 2003. A.8929, Rules/Colman; Chapter 573 of the Laws of 2001 This legislation extends provisions which allow school districts to amend contracts for pupil transportation without going through a competitive bidding process if such amendments are to enhance pupil safety, or increase savings consistent with maintaining pupil safety. Approval for the amendments must be granted by the commissioner. A.9018-A, Rules/Tocci; Chapter 284 of the Laws of 2001 Presently, "Operation Recognition" allows World War II veterans who left high school prior to graduation to receive a high school diploma due to knowledge and experience gained while serving in the military. This bill would extend the provisions of "Operation Recognition" and allow the Commissioner of Education to implement a program for Korean conflict veterans who were unable to complete a secondary education and receive a high school diploma. Bias-driven harassment has been reported in a number of schools throughout the state. These cases have involved verbal taunting to physical abuse. At a time when academic standards are being raised, students need a school environment that is conducive to learning and free from harassment, intimidation and prejudice. Chairman Sanders introduced which authorized the Commissioner of Education to implement policies affecting all students and employees of public schools relating to harassment and discriminatory acts against students based on ethnic origin, race, religion or sexual orientation. Also, a public hearing was held on April 27 to discuss the suitability and relevance of this bill to the public schools of New York. Numerous students, parents, teachers and community organizations attended and used this forum to voice their concerns about the treatment young people are receiving from fellow students and school employees. By the end of the hearing, it was concluded that students who are harassed or discriminated against are not receiving the quality of education they deserve under the New York State Constitution. Some notable witnesses at the hearing were State Senator Tom Duane, Sheila Evans-Tranumn from State Education Department, Gene Rubin from United Federation of Teachers, Ross Levi from Empire State Pride Agenda, Ted Peterson from School Administrators Association and Marina Sheriff of the New York Civil Liberties Union. This year the Education Committee, in conjunction with the Libraries and Education Technology Committee and the Committee on Children and Families, held two hearings to gather information about Early Childhood Education. The hearings, held June 5th in Albany and June 15th in New York City, drew a wide variety of witnesses. Research into brain development has revealed the importance of early stimulation to lifelong neural capacity. Children raised in stimulating environments develop a capacity for learning that lasts throughout their lives. Conversely, children whose early education is neglected often find themselves with a diminished ability to learn. Witnesses at the Assembly hearings represented the many groups who interact with young children and their caregivers. Librarians, day care providers, doctors and child development specialists all spoke on the importance of giving young children a solid foundation of learning and social skills. Many of the witnesses spoke about the need to better inform the public about the importance of early childhood education. The significance of parents as the first and frequently the best teacher for their children was raised. Efforts to educate parents about the simple steps needed to foster a child's brain development were discussed. Participants also talked about the need to coordinate efforts made by the many professionals who interact with young children and their parents. While many programs are created to work with babies and toddlers, they are too often independent of each other. Funding these programs are frequently grant awards, and the need for continuing, reliable sources of funding was mentioned by many of the participants. Witnesses at the hearing included Janet Welch, State Librarian and Assistant Commissioner for Libraries; Trish Magee, Reach Out and Read Greater NY; Barbara Salmanson, Office of New York Comptroller; and Sheila Evans-Tranumn, New York State Education Department. A recent report published by the New York City Board of Education entitled "The Class of 2000 Four-Year Longitudinal Report and 1999-2000 Event Dropout Rates" has shown a significant increase in the high school dropout rate among English Language Learners (ELL's). The Committee on Education, along with the Committee on Higher Education, the Task Force on New Americans, and the Puerto Rican/Hispanic Task Force held a hearing this year to discuss the increase in the high school dropout rate among English Language Learners. The hearing took place on June 8th in New York City and was attended by a variety of witnesses who came to participate and listen to the discussion. Statewide, English Language Learners make up 7.6% of the school age population. The New York City school system enrolls the majority of these students, educating seventy-eight percent of all ELL students. English Language Learners face many challenges in completing high school. Many must take extra non-credit courses in order to learn English-as-a-second-language. This hearing was held in order to determine what actions the State and local school districts can take to best meet the needs of English Language Learners and prevent ELLs from leaving school. All the potential causes for the increase in the high school dropout rates were discussed. Participants concluded that the following causes must be further examined: the funding of programs supporting ELLs, the implementation of the new high school graduation requirements, and the shortage of certified bilingual education teachers. The Assembly and this Committee will continue to pursue its policy of providing safer, more effective schools that will encourage and prepare the children of New York State for all future challenges. The Assembly recognizes that adequate resources make a big difference in providing a sound basic education. Next year the Committee will again look for ways to ensure that the State's education funding formula fairly and adequately addresses the needs of all of New York's school children. Under the leadership of Speaker Silver and Chairman Sanders, the Committee's dedication to early childhood education programs may already be paying off: while we have fought to maintain the financial commitment to the LADDER program, ELA and Math test scores among elementary students have gone up over the last three years. Although there was a setback in funding this year, it is imperative that we continue to press for full funding of this valuable program, strengthening initiatives such as universal prekindergarten, and smaller class sizes in the early years. These are just a few of the initiatives the Committee will take on in the coming year. Many other K-12 issues are likely to be brought to the fore. The Committee will strive to work together to reach policy solutions that benefit the children of this State. Chapter 3 of the Laws of 2001 (A.5091, Acampora) Requires that all school districts provide return transportation to students if transportation of students is provided to an extracurricular activity or other similar event. Chapter 16 of the Laws of 2001 (A.1706A, Magee) Permits the use of State transportation aid by the Oneonta School District despite late filed contracts. Chapter 64 of the Laws of 2001 (A.5520, Finch) Authorizes the repayment of State aid by the Greene Central School District by reducing future State school aid payments over the next 6 years. Chapter 71 of the Laws of 2001 (A.6436B, Acampora) Provides for payment of State transportation aid to the South Manor School District and the Eastport/South Manor Central School District. Chapter 77 of the Laws of 2001 (A.8736, Tokasz) Amends Chapter 69 of the Laws of 1992, extending authorization to the board of education to provide for pupil transportation in child safety zones. Chapter 78 of the Laws of 2001 (A.8679, Weisenberg) Authorizes transportation contracts and related transportation aid payments to the East Meadow School District. Chapter 98 of the Laws of 2001 (A.9162, Dinowitz) Extends the period in which political subdivisions can donate surplus computer equipment to schools and other not-for-profit institutions for use by individuals with disabilities. Chapter 114 of the Laws of 2001 (A.9187, Schimminger) Validates acts taken by the Tonawanda School District relating to the issuance of financial obligations for the financing of capital improvements. Chapter 147 of the Laws of 2001 (A.8898A, Matusow) Permits boards of education to provide conditional and emergency conditional employment to school districts, while criminal background checks are being performed on employees. Chapter 210 of the Laws of 2001 (A.6697A, Eve) Repeals the local examination requirement in the Buffalo School District and provides that only a State teaching certificate is required for hiring. Chapter 217 of the Laws of 2001 (A.8485B, Luster) Requires that all electrically operated partitions in school facilities be equipped with safety devices. Chapter 231 of the Laws of 2001 (A.5822B, Canestrari) Requires that school driver education courses include instruction regarding motorcycle safety awareness. Chapter 284 of the Laws of 2001 (A.9018A, Tocci) Authorizes the development of programs to allow Korean war veterans to earn a diploma if they were unable to do so due to military service. Chapter 377 of the Laws of 2001 (A.7926, Weisenberg) Requires school districts to develop a plan to ensure that all instructional materials are available in alternative formats. Chapter 380 of the Laws of 2001 (A.9333, Rules) Makes technical corrections to Project SAVE, the school safety law enacted in 2000. Chapter 447 of the Laws of 2001 (A.8470, Rules) Adjusts certain State aid payments to the Delhi Central School District. Chapter 461 of the Laws of 2001 (A.9048A, Destito) Permits State aid payments to be reduced by one-sixth over a six year period to allow the Utica City School District repay money owed to the State. Chapter 499 of the Laws of 2001 (A.7549, Young) Legalizes and validates certain transportation contracts of the Hinsdale Central School District for the 1999-2000 school year so that such school district may receive State aid. Chapter 510 of the Laws of 2001 (A.9439, Acampora) Makes technical corrections to Chapter 3 of the Laws of 2001 requiring school districts to provide return transportation to extra-curricular activities if the district has provided transportation to such activity. Chapter 518 of the Laws of 2001 (A.7548, Young) Adjusts certain State aid payments to the Whitesville Central School District. Chapter 519 of the Laws of 2001 (A.7563A, Mills) Eliminates the Sugar Loaf Union Free School District and provides for it to revert and become part of the Warwick Valley Central School District. Chapter 547 of the Laws of 2001 (A.4995A, Miller) Provides for the closure of the Morton Road Union Free School District. Chapter 564 of the Laws of 2001 (A.5888, Pretlow) Provides for making educational services available to individuals in youth centers. Chapter 573 of the Laws of 2001 (A.8929, Rules) Allows school districts to amend contracts for pupil transportation without going through a competitive bidding process if it enhances pupil safety. Chapter 574 of the Laws of 2001 (A.9096, Rules) Provides for the construction of modular classrooms by the Utica City School District. A.50, Sanders This bill would provide an advance for State aid for the education of youths incarcerated in a county correctional facility. A.51A, Sanders This bill would allow youths sentenced to day reporting centers eligible to receive educational services available to incarcerated youth. A.73, Colman This bill applies the safety regulations set by the Commissioner of Education that are presently applicable to public school district bus drivers to private school bus drivers. A.759A, Tonko This bill would establish regional traumatic brian injury technical assistance centers. Grants would be given to provide support, technical assistance, and coordination of services to schools and families to the education of children with traumatic brain injuries. A.958A, Cook This bill would allow grandparents who have the written permission of their grandchild's parent or legal guardian to participate in the child's parent-teacher association. A.1451, Robach This bill creates the Empire State Internship program which would provide exposure to advanced technologies and equipment not available in the classroom. A.1458, Sidikman This bill would allow a student who attends a non-public school to receive transportation if the school is located farther than fifteen miles from their home. A.2398, Tokasz This bill would require New York State schools to maintain a record of chemicals used around school buildings. A.2782, Weisenberg This bill would require committees on special education to advise parents of the availability of services for resolving family problems which may cause and/or aggravate a child's disabling condition. A.3755, Clark This proposal would ensure that school districts officially establish a school-related personnel recognition day. A.3886, Sweeney This bill directs the Commissioner of Education to create a special purposes challenge grants program. A.4002, Davis This bill would authorize the Commissioner of Education to gather comprehensive data and make recommendations regarding school district policies on student athletes. A.4089A, Ortiz This bill would establish a program to coordinate the donation of excess, unused, edible food from school meal programs to voluntary food assistance programs. A4308, Lafayette This bill would enable school districts to offer pre-kindergarten classes to eligible children during the summer months before the children begin kindergarten. A.4326, Pretlow This bill would provide for the time period and manner of Employment Preparation Education (EPE) apportionment of State aid. A.4884A, Cahill This bill would provide for the lease, lease-purchase rental or maintenance of a vehicle for individuals with a disability. A.5192A, Englebright This bill would makes provisions for the planning and specification of school buildings with respect to health and safety issues. A.5306, Tokasz, This bill would exclude expenditures for increases in fuel cost when calculating increases in a contingency budget. A.5541, Pretlow This bill would establish literacy program for disadvantaged families living in high poverty areas or in low performing schools. A.5671B, Sanders This bill would require appropriate maintenance of local effort for the Big 5 school districts. A.6005A, Canestrari This bill would entitle certain small city school districts for special service aid. A.6597, Eve This bill would authorize the City of Buffalo School District to establish a minority scholarship recruitment program. A.7002, Ortiz This bill would establish the School Incentive Breakfast Program (SIBP). A.7294, Warner This bill would authorize the Vestal Central School District to grant a high school diploma to Mr. Charles Kneller. A.7536, Sanders This bill would create the State Interagency Council for services to the blind, deaf and hard of hearing. A.8872, Heastie This bill would amend the definition of child to persons under the age of 21 enrolled in a school district. The amendment would protect children from child abuse and maltreatment in an educational setting. A.9068, Sanders This bill would repeal certain provisions relating to the election of community school boards in New York City. A.9153, Towns This bill would establish the Early Science and Technology Entry Program for students in pre-K through eighth grade. A.9195A, Tonko This bill would authorize the City of Amsterdam School District to finance deficits by the issuance of serial bond or bond anticipation notes. A.9196, Tonko This bill relates to State aid claims to the Amsterdam School District. A.9197A, Tonko This bill would adjust certain State aid payments to the Amsterdam School District.